We just love the architecture of eggs Benedict. A starch, a protein, a creamy sauce, and a fat poached egg on top, or under the sauce, as it were. 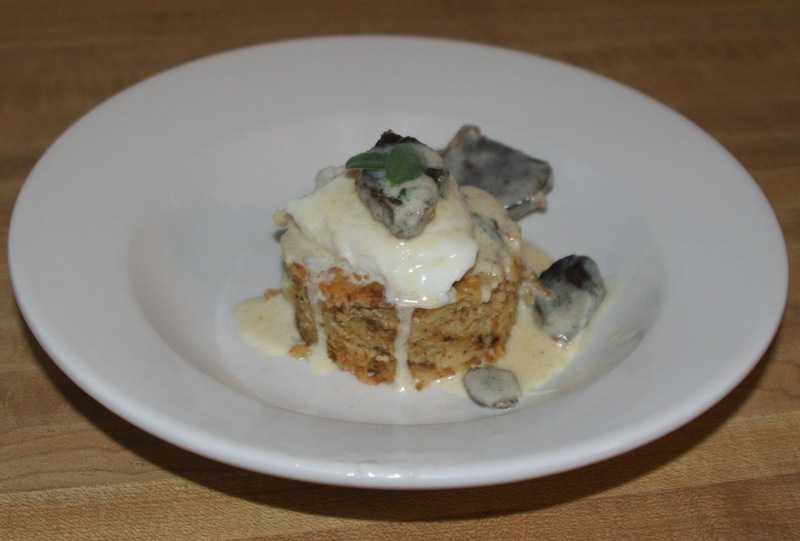 Really, aside from cake and pie, it is hard to think of food that is not greatly enhanced by a fresh poached egg! This is a favorite planned over brunch item to throw together when Christmas or Thanksgiving leftovers abound. It is not so much a recipe as an assemblage of stuff you already have staring at you from the fridge! Another favorite at Doe Run Farm is the humble chicken gizzard. We just love gizzards of any kind. We have a great recipe for Confit de gésiers that we make on occasion. 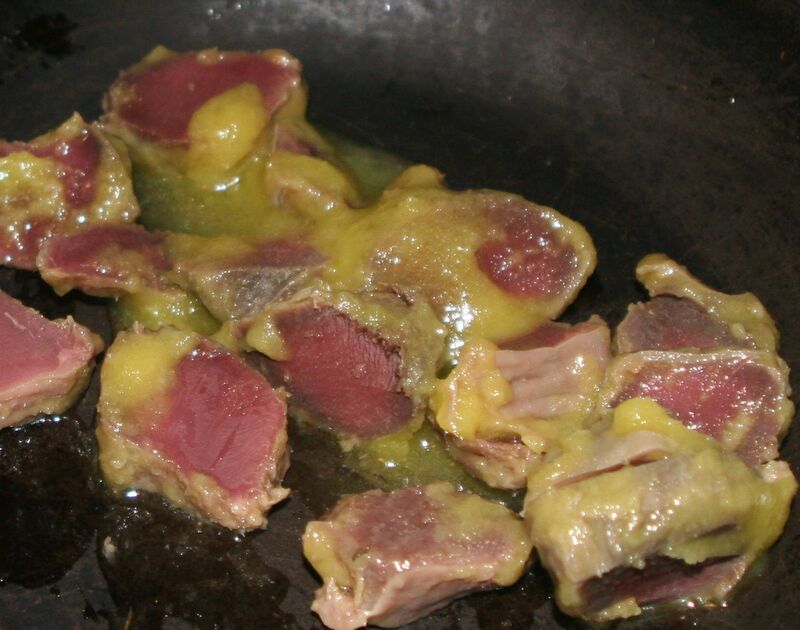 Gizzards and spices bathed in olive oil for several hours, cooled and tucked into a crock in the back of the refrigerator for fanciful salads or in our case, a fanciful sauce. If you don't have confit, don't worry, use your leftover giblet gravy. If you have been incredibility productive, use that turkey à la king you made! Now that you have assembled your leftovers, the dish is really quite simply. Cut the dressing from the pan with a round biscuit cutter. Place the poached egg on the round of dressing and cover with your sauce. Top off with a sprig of sage. This is a tasty use leftovers. I love gizzards. Could you be persuaded to divulge your recipe for confit de gésiers? Thank you in advance, and Happy New Year. I have never really worked with gizzards... they sound amazing with eggs. Happy New Year!! I am grateful to start the New Year by being the recipient of such thoughtfulness. Looks delicious, i love to eat gizzards and i can't wait to try your recipe. Thank you!